If a job must be brought to notice to your workforce and customer contacts, you can flag it for attention with a supporting reason, so that when they view the job (via browser or Loc8 Mobile app), appropriate person can take the required actions. 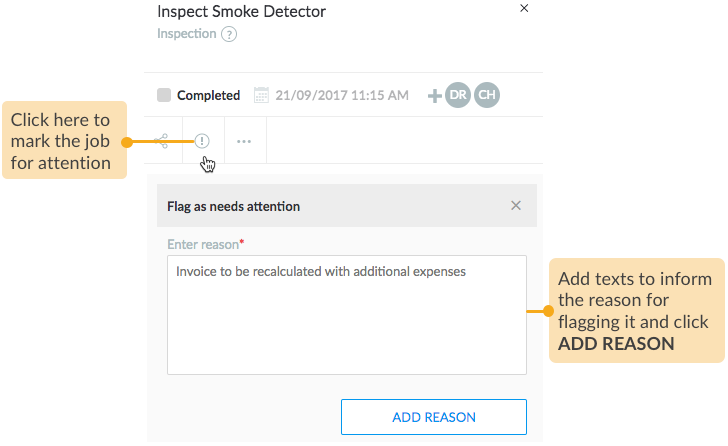 To flag a job for attention, select the job in either List view or Map view. 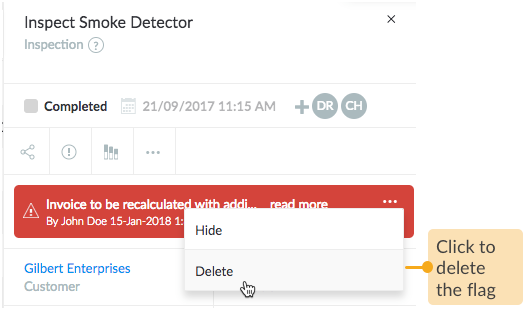 When the flag is no longer valid, you (or any of the involved person) can delete it from the job inspector.